Home › Blog › White House Smoke Screen? Would it be the first time? I have to tell it like it is on LlenRad. Where there’s smoke there’s ________. No there’s a headline on DrudgeReport.com, Huffingpost.com, and WashingtonPost.com that alerts everyone of a big evacuation at the White House. No big deal just an elecric TRANSFORMER that mysteriously started smoking and caused an evacuation of ONLY the press room. Nothing going on here right? Until you look at the last scene in the White House Press Room. 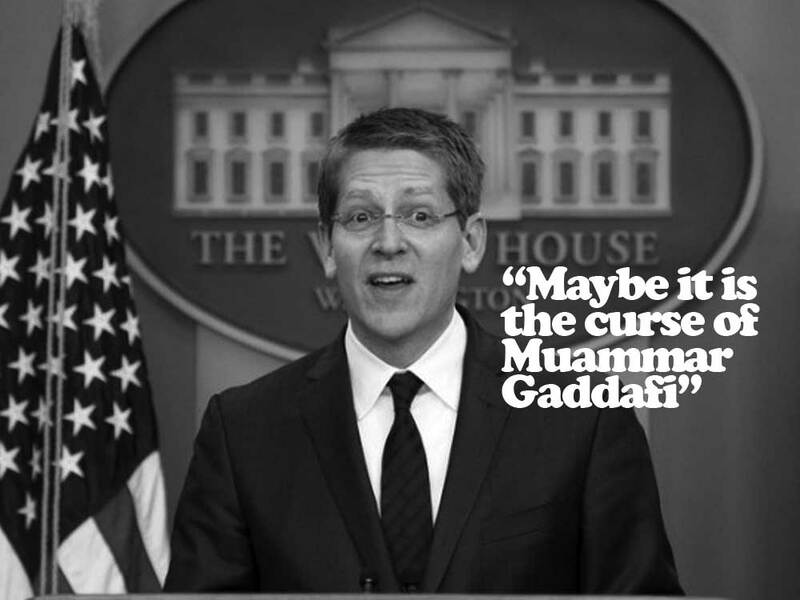 Check out Jay Carney on the hot seat on Friday. I have to say I’ve never seen a US president spokesperson this jibbly jabily on direct questions. He seemed to be put off his game by the fact that people in the room didn’t just throw him under hand softball questions or just straight up complimenting his tie. Now the next morning the headline is something about smoke in the press room at the White House and an evacuation due to smoke and the next meeting with reporters is private. This means Barack Obama the also apparently deserves a patent to go along with his peace prize for discovering a way to create smoke from heat without fire. He must be a freaking magician. However, you can tell by the comments on HuffPo that the POTUS is losing his Midas touch even with his own core constituency, “the trendies”. Now everything he touches turns to crap, drudge even updated his headline about a second term curse it’s getting so bad. When you start telling lies and 3/8th quarter truths, the only thing that you can do is tell more lies until you end up sounding like Bill Clinton waving your finger at the camera talking about what you didn’t do or Bush cracking jokes about where the WMDs are. It’s sad how it ends when “powerful” people get lost in their own ego and criminality. This is why I say WE, the people have THE RIGHTS and those dudes they just have jobs. This is the reality of the situation. That and the fact that it’s impossible that an electric transformer started smoking without there being a FIRE. Electrical wires in mechanical rooms don’t just spontaneously smoke sometimes and then return to normal. They are high voltage insulated copper wires. Smoke doesn’t come from “over heating” smoke come from fire. Isn’t it ironic that the only fire at white house story you can find today if you search GOOGLE is the story about the White House coming under FIRE for using the IRS to go after political foes. I guess it’s like that told saying, where there’s smoke, there’s fire. Look at Obama at a HBCU talking about he’s a black man and he “might of been in prison” Ha haaaa if you don’t let those GITMO hostages free you gone end up in prison dude, #Karma. ‹ Guantánamo Hostages. Why are we doing this?